Little Blue as seen on Sonoma County Line. There is another blog to tell you about. And it’s not related to VWs at all, other than the fact that if you look closely, you will see the occasional glimpse of Little Blue and/or Big Blue. EP entered the blogging world about a month ago, and true to her fashion, she is taking it way more serious than anything I tend to write about here. Sonoma County Line is EP’s account/review of all things Sonoma County – where we live. It’s a review of wine, food and activities – with an emphasis on the good rather than the bad. And it is – I might add – really well written (in my humble opinion). So for all you NorCal lovin' folks out there, be sure to bookmark it and check back often. For all you VW people out there, please disregard this post. 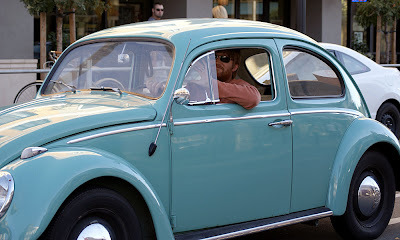 Tomorrow, we return to your regularly scheduled VW-related programming.